1. Google to help EC track political ads. Get Latest News Updates with The Tutors Academy. With poll season round the corner, Google, which controls the lion’s share of the digital advertising market, will soon be helping the Election Commission (EC) keep tabs on online political advertising. The tech giant will develop a mechanism that will not only ensure pre-certification of political advertisements but also enable it to share with the authority details of the expenditure incurred on its platforms. Chief Election Commissioner O.P. Rawat on Tuesday said a Google representative met a committee set up to explore possible modifications in Section 126 (election silence) and other provisions of the Representation of the People Act, 1951, in view of the expansion and diversity of media platforms. Google has also assured the committee that it would set up a mechanism for sharing information on the cost of the political advertisements. This would be of use to Returning Officers when it comes to calculating the election expenditure of individual candidates. The EC’s committee had earlier held meetings with Facebook, which has also agreed to develop tools for removing any content pertaining to election matters during the 48-hour period when the ‘prohibition protocol’ is in place. It is working on ways to check fake news and share details of expenditure on poll-related advertisements. Arif Alvi, a close ally of Prime Minister Imran Khan and one of the founding members of the Pakistan Tehreek-e-Insaf party, was elected as President of Pakistan on Tuesday, as the cricketer-turned-politician consolidated his grip on power. The 69-year-old former dentist defeated Pakistan Peoples Party candidate Aitzaz Ahsan and Pakistan Muslim League-Nawaz nominee Maulana Fazlur Rehman to become the 13th President. Of the 430 votes cast through a secret ballot in the National Assembly and the Senate, Dr. Alvi received 212 votes, Mr. Rehman 131 and Mr. Ahsan 81. Six votes were rejected, DawnNews reported, citing unofficial results. Dr. Alvi secured 45 of the 60 votes cast by Balochistan’s newly elected lawmakers, it said. Ahead of the proposed nationwide bandh on September 6, called by some organisations protesting against the SC/ST Amendment Bill passed in Parliament last month, Section 144 of the CrPC has been imposed in Gwalior (city), Bhind, Shivpuri, Guna and Ashok Nagar districts of Madhya Pradesh. he Ministry of Health and Family Welfare has said that State-level committees consisting of two orthopaedic surgeons or physical medical rehabilitation experts and one radiologist from government hospital, a representative from the Central Drugs Standard Control Organisation (CDSCO) and drug controller of respective States should be formed to identify patients who have received the faulty hip implant by pharmaceutical giant Johnson & Johnson. J&J’s Articular Surface Replacement (ASR) hip implant manufactured by its subsidiary DePuy Orthopaedics was recalled globally in 2010 after reports of it leaching metals and causing severe pain, fluid accumulation, and metal poisoning in patients. However, till date, only 1,080 patients have reached out to the ASR helpline set up by the pharma company for guidance on revision surgeries and reimbursement process, and 275 have undergone revision surgeries. In 2011, the Maharashtra Food and Drug Administration (FDA) first initiated action against the pharmaceutical giant by registering an FIR at the Mahim police station in Mumbai and also alerting the DCGI. Get daily Latest News Updates 2018- The Hindu, To prepare all competitive exams like- NDA, CDS, and Navy. The environment ministry is set to convene this month a “special meeting” of the Genetic Engineering Appraisal Committee (GEAC) to decide on field-trial approvals for the controversial transgenic mustard developed by the University of Delhi’s Centre for Genetic Manipulation of Crop Plants (CGMCP), according to a person familiar with the developments. The CGMCP had earlier applied to grow transgenic mustard (DMH-11) in plots in Delhi and Punjab to test the plant’s effects on honeybees after the GEAC, which had initially cleared the GM crop for “commercial cultivation”, backtracked and demanded more tests and additional data on honeybees and other pollinators and on soil microbial diversity. 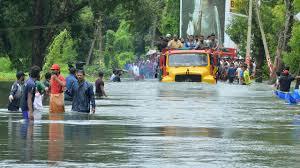 Citing the recent devastating floods in Kerala and the serious stress to the Western Ghats ecology, the National Green Tribunal has restrained six States in the region from giving environmental clearance to activities which may adversely affect the eco-sensitive areas. The six States are Gujarat, Maharashtra, Goa, Karnataka, Kerala and Tamil Nadu. The green panel allowed the Ministry of Environment and Forests (MoEF) to republish the draft notification of the Western Ghats that lapsed on August 26 and asked it to finalise the matter within six months without alterations to the eco-sensitive zone in terms of notification dated February 27, 2017. A MiG-27 fighter jet of the Air Force crashed in Jodhpur, Rajasthan, on Tuesday morning, but the pilot baled out. Economics This refers to the potential risk that a digital currency unit could be spent more than just once. When a digital currency can be reproduced at a negligible cost, it can lead to users producing several copies of it in order to spend it multiple times. This can cause the supply of the currency to rise and lead to inflation in the prices of goods quoted in the digital currency units. The problem has been used to question the credibility of digital currencies. Various digital currencies, however, have managed to overcome the double spending problem through the use of public ledgers that record all transactions made by users and verify their authenticity. He would be the first CJI from the north-eastern region. He is the son of Keshab Chandra Gogoi, a former Assam Chief Minister during the Indian National Congress regime in 1982. Justice Gogoi was one of the four most senior Supreme Court judges who held the January 12 press conference bringing up the issue of selective assignment of sensitive cases by recent CJIs to certain judges in the Supreme Court. Chief Justice Misra subsequently published a subject-wise roster of cases assigned to judges. In various judgments, one of them by a Constitution Bench led by Chief Justice Misra himself, the Supreme Court went on to declare the CJI the ‘master of roster’. The Benches led by Justice Gogoi have dealt largely with the issue of corruption in politics and public life. In fact, he has led the Bench which ordered the Centre to set up special courts to “exclusively” try MPs and MLAs as a means to de-criminalise politics. 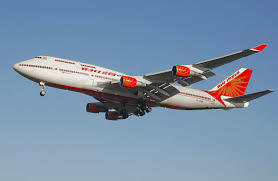 The government has approved the first tranche of aid for Air India after its disinvestment process was suspended. “This includes ₹2,100-crore government-guaranteed borrowings and ₹860 crore of equity infusion,” Civil Aviation Secretary R.N. Choubey said on Tuesday. Pakistan will allow India to inspect the Kotri barrage in the lower Indus, while New Delhi has agreed to Islamabad’s request for a special inspection of the hydroelectric projects in the Jhelum river basin, including the Kishanganga scheme, a Pakistani media report said on Tuesday. The decision was taken during last week’s meeting of the Permanent Indus Commission held in Lahore. Commerce and Industry Minister Suresh Prabhu on Tuesday said that the negotiations for the Regional Comprehensive Economic Partnership (RCEP) would not end in 2018, but would spill over to 2019, even as officials said there was a breakthrough in understanding India’s concerns at the meeting in Singapore on August 30-31. According to Mr. Prabhu, the 16-nation group accepted some key demands from India: on differential tariff regimes for different country groups like China, and in allowing a 20-year implementation period of the agreement. “The RCEP negotiations will not end in 2018 that has been agreed at the level of the leaders. But it will go on in 2019 as well,” the Minister said, speaking at the sidelines of a Coffee Board event, indicating that a “package of substantial deliverables” would be agreed to in November this year, but not the preferential trade agreement, which has been negotiated for more than six years, itself. Separate negotiations Of the 16 countries that have been negotiating for the RCEP, India does not have Free Trade Agreements with three countries — Australia, New Zealand and China, for which negotiations will now be separately held, in a “bilateral pairing mechanism”. In a major boost to the ‘Make in India’ initiative, American security and aerospace giant Lockheed Martin announced that the wings of its F-16 fighter jets will be produced in India. Maryland-based Lockheed Martin has entered into an agreement with Tata Advanced Systems Limited (TASL) for the project. Lockheed officials insisted that the planned F-16 wing production to India was not contingent on India selecting the F-16 for the Indian Air Force. Lockheed has offered to move its entire F-16 manufacturing base to India. India is yet to make a decision on it. Producing F-16 wings in India will support the Centre’s ‘Make in India’ initiative, company officials said. “Building F-16 wings in India is a natural next step that builds on our… partnerships with Tata on the C-130J [Super Hercules airlifter] and S-92 [helicopter],” said Vivek Lall, VP, strategy and business development, Lockheed Martin Aeronautics. Cyient Solutions & Systems Pvt. Ltd., a joint venture between IT firm Cyient and BlueBird Aero Systems of Israel, has bagged an order from the Indian Army to supply mini UAV(unmanned aerial vehicle) systems for high altitude aerial surveillance. ‘Fully autonomous’ SpyLite is an advanced, combat-proven, electric, mini unmanned aerial system that is fully autonomous. From launch to accurate parachute recovery, it delivers enhanced reliability even in severe weather conditions, assuring long endurance and high operational availability, the firm said. BlueBird Aero Systems CEO Ronen Nadir said high performance, diverse capabilities, high reliability, low lifecycle cost and ease of use were the features of SpyLite. Defence and security forces around the world have come to rely on SpyLite, said N.J. Joseph, MD & CEO of Cyient Solutions & Systems. The firm provides Unmanned Aerial System -based intelligence gathering, surveillance, target acquisition and reconnaissance capabilities for defence, homeland security and civilian applications. Alpha Design Technologies Ltd., Bengaluru, and Elbit Security Systems, Israel, plan to raise investments in their military devices JV and expand its products in the coming years, senior officials said. The combined investments in the 51:49 Alpha-Elsec Defence & Aerospace Systems may rise from $2.5 million so far to $50 million in the next 5 or more years, Alpha CMD Capt. H.S. Shankar (retd) said. Om Prakash Mitharval won the men’s 50m free pistol gold in the 52nd World shooting championship here on Tuesday. H became only the fourth World champion in shooting behind Abhinav Bindra, Manavjit Singh Sandhu and Tejaswini Sawant. It’s the world’s first experiment to test travel between two mini satellites in space A Japanese team has developed a “space elevator” and will conduct a first trial this month, blasting off a miniature version on satellites to test the technology. The test equipment, produced by researchers at Shizuoka University, will hitch a ride on an H-2B rocket being launched by Japan’s space agency from southern island of Tanegashima next week. The test involves a miniature elevator stand-in — a box just 6 cm long, 3 cm wide, and 3 cm high. If all goes well, it will provide proof of concept by moving along a 10-metre cable suspended in space between two mini satellites that will keep it taut. The mini-elevator will travel along the cable from a container in one of the satellites. “It’s going to be the world’s first experiment to test elevator movement in space,” a university spokesman said on Tuesday. The movement of the motorised “elevator” box will be monitored with cameras in the satellites. It is still a far cry from the ultimate beam-me-up goals of the project, which builds on a long history of “space elevator” dreams. Discover and learn more latest news updates and current affairs with The Tutors Academy, and prepare for all competitive exams.